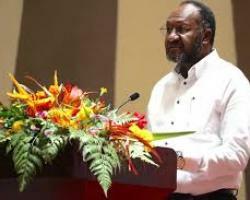 “This week the Government will commence with the consultations with national institutions such as the Vanuatu National Council of Women (VNCW), Vanuatu Christian Council (VCC) and all the provincial centre prior to the final national consultation on Political Parties Bill which is scheduled to take place at the Chief's Nakamal on February 22, 2019,” he said. A timetable has been prepared on the consultation schedules of all the respective provincial centre. The consultation in Shefa Province will be held on January 31 at the Shefa Provincial Headquarter. This is part of the Government's efforts to introduce laws for the purpose of reducing political instability and enhancing the integrity of Parliament and its members. 4. Bill for the Charitable Associations (Incorporation)(Amendment) Act.